Het Danskwartier Den Haag opens in September 2017. Janine van den Heuvel Damen will then take over the dance school from Joke van der Kraan. The dance school is located in the Statenkwartier in The Hague. A good atmosphere, personal contact, lots of dance pleasure and working on a good dance technique are important to us in our lessons. Only graduate professional dance teachers work in the dance school. 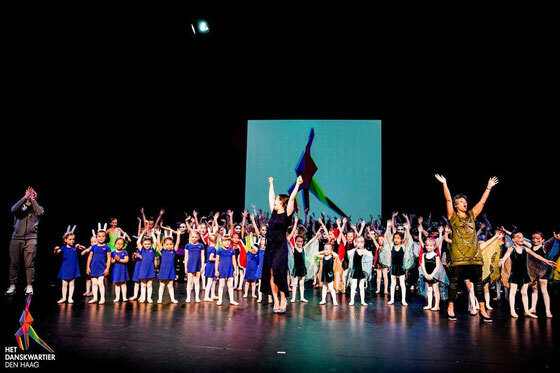 In this way we teach in a responsible way and we can bring students further in their dance. In addition to the lessons, Het Danskwartier Den Haag also offers the opportunity to gain stage experience. For example, a performance is organized at least once every two years in a real theater. Dancing is great! Our mission is to make everyone feel that! Once infected with the 'dance virus' you will always love it. To make everyone enjoy dance a lot is what we love doing the most. We offer dance lessons from young to old and in different dance styles. View the range in the schedule. "Dance with your heart and your feet will follow!" Janine has been the proud owner of Het Danskwartier Den Haag since September 2017. Janine graduated as first degree dance teacher at the Fontys Dance Academy in Tilburg. She still follows a lot of further training at home and abroad. (London, New York) After graduating, she joined several ballet schools in The Hague and surroundings and gave workshops at the Dutch Dance Theater in Dan. She worked for Segbroek Dance and the Utrecht Dance Academy. For the Nationale Toneel, she regularly makes choreographies. She also creates and teaches educational workshops / classes about performances for Holland Dance. She has developed the series of lessons 'GeRAAKT' in collaboration with ADO Den Haag to get children to exercise more. During her studies Janine danced in Verdi's opera 'La Traviata' in Zurich. She was a choreographer and dance coordinator for 'Snorro' the masked hero of the RO theater. She danced in live, life, living at the CaDance festival and in Global water Dances the Netherlands. She followed her previous education at the MusicAllFactory. Janine was seen as 'Little Red Riding Hood' in the Efteling and she played in a number of Sinterklaas musicals. She was also a choreographer at the Rijswijks youth theater. Janine is a passionate teacher who enthusiastically transfers her passion to her students. 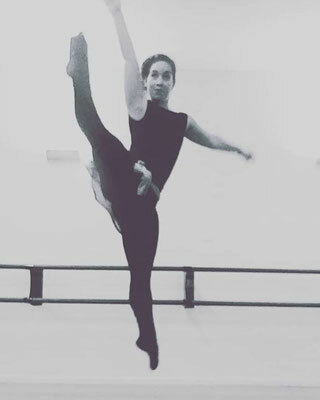 "In my lessons I continue to teach my pupils in their dance technique in a dancing manner, and empathy, energy and flow play an important role in my lessons." Dancing is wonderful, that's what I want my students to feel. " Tanja followed her dance teacher training at the Rotterdam Conservatory and graduated in Classical and Modern ballet in 1980. Since then she has always been associated with Balletschool Joke van der Kraan and has taught at many different ballet schools and to their own children's groups. Teaching children, especially in the longer term, she does with pleasure. This is because they can clearly see the physical development, but also the ever-increasing expression in dance. With one child, more within the technology when the possibilities are there and with the other child more with the expression. Every child develops within their own possibilities if this is enjoyed with pleasure. Teaching adults is also very rewarding to see that there is a lot of room for expression of feeling, connection with the body through breathing and the combination of movement and music within the technique that is taught. She follows weekly training and several refresher courses per year to get inspired for her lessons. Christian van Dijk teaches the breakdance at Het Danskwartier Den Haag. He is also one of the dancers / dance teachers of Xclusiv Company. As a dancer from various Rotterdam groups such as Got Skills, GKS and Optima Forma, he has won several titles, including triple Dutch Champion Breakdance. Strength & speed are the hallmarks of his B-boy style. He also travels internationally with Xclusiv Company to provide various shows. Robin graduated from the Albeda dance college in Rotterdam. She also danced in many dance shows and dance competitions. She has been dancing with great pleasure and passion since she was 6 years old. After graduating she started teaching a lot in different styles such as Streetdance, Hiphop, Modern, Jazz and Classic Ballet. She teaches with a lot of love and she thinks it's important that the students who are in her class feel at ease. That they can express their emotions and their energy in dancing. she likes to see how the children are increasingly developing and growing. It is very important that they especially enjoy what they do. Just as she has fun in teaching. She also finds it very nice to follow dance lessons. There too she gets a lot of fun and I feel free in what she does. Chantalle will replace Janine on the Tuesday and the classical and modern class on Wednesday during her maternity leave. She did her training at the Rotterdam dance academy and already has a lot of experience in teaching. "I always enjoy teaching and always love to help people develop in their dance, and seeing students grow is great!" She always tries to get the best out of someone, but above all tries to convey the fun in dance. Chantalle has also toured with Hans Klok as a professional dancer in recent years, now she wants to pay more attention to teaching. Elaina graduated from the Bachelor of Dance in Education program at the Amsterdam School of the Arts and followed her training at the dance academy of Lucia Marthas. She specializes in classical ballet and jazz styles. During and after her studies she obtained the certificates of ballet academy Varna on the basis of Kalina Bogoeva. In her lessons she wants to inspire, stimulate and build self-assurance. The dance technique, fun and freedom within dance is central. Elaina has gained various experience as a dancer with, among others, the Dutch Do not Dance Division and the NPO film 'Get Lost'. She regularly follows lessons / further training at home and abroad to keep her lessons up to date. Rowena is studying for lecturer dance at Fontys University for the Arts; academy for dance education. Dance is her lust and her life, she has been dancing since she was 4 years old. She also took lessons with Janine and danced in several of Janine's choreographies. She regularly teaches children, ballet and modern (jazz). In her lessons she finds Flow, fun, self-confidence, creativity, technique, playing style, freedom / individuality important. Mienke takes care of all children's parties in the studio during Janine's leave! Mienke Zandleven is a first degree dance teacher. Dance has been her lust and her life since childhood. After secondary school she followed and completed a dance course at MBO (CIOS Haarlem) and at HBO (Dansacademie Codarts Rotterdam) level. Mienke Zandleven accompanies young talents at Korzo and gives educational dance workshops for the dance company Little Doll Dance Company and for theater group ZEP. She also teaches at dance schools in hip-hop and modern. Mienke is a passionate teacher who likes to convey her enthusiasm to her students. Energy, empathy and dancing pleasure are always central to the lesson!